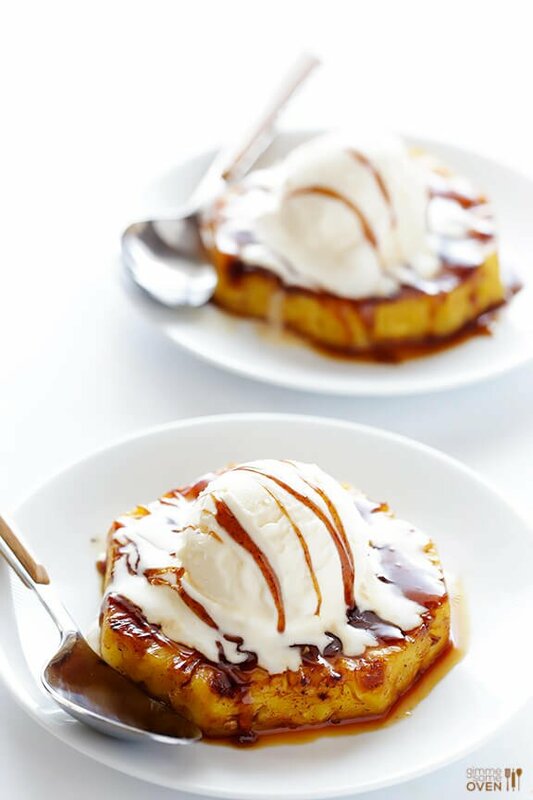 This Easy Rum-Soaked Grilled Pineapple recipe is my flameless version of “pineapple foster”. It’s fresh, easy and crazy delicious. And it’s also perfect for entertaining! Oh, and then top this heavenly grilled goodness with a big scoop of vanilla ice cream. 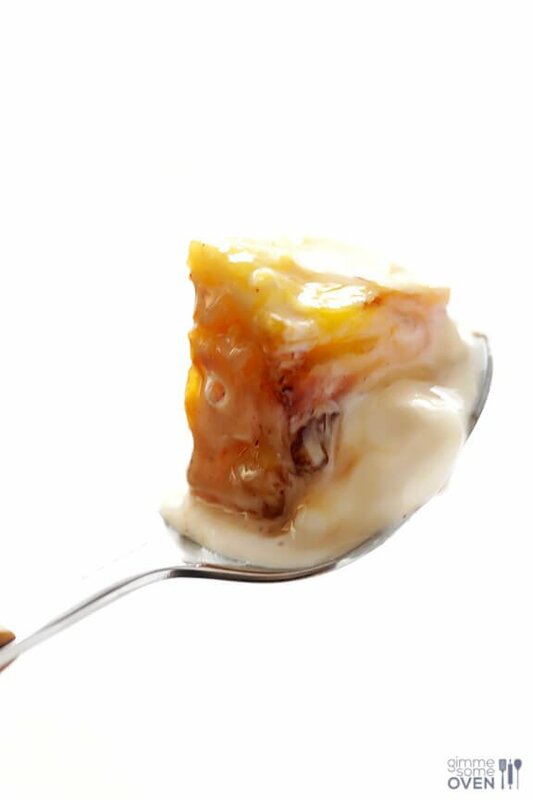 Reduce the rum+cinnamon+brown sugar marinade into a caramelized sauce, and drizzle it on top. And then maybe even sprinkle on a pinch of cinnamon, if you’re feeling extra fancy. In a small bowl, mix together rum, brown sugar, and cinnamon. 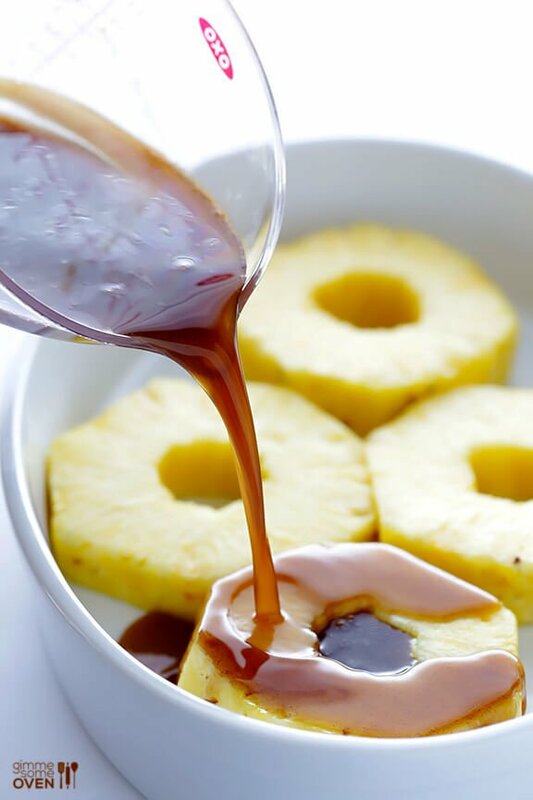 Then in a glass baking dish (or other container), lay out the pineapple rings and pour the rum mixture over them. Toss to coat, then let soak for at least 15 minutes, flipping the pineapple midway through. When you are ready to cook the pineapple, strain out the extra rum sauce from the pan of pineapple, and transfer it to a small saucepan. Bring the sauce to a simmer over medium-high heat, then reduce heat to medium-low and simmer for about 6-8 minutes, or until reduced by half. Set aside. 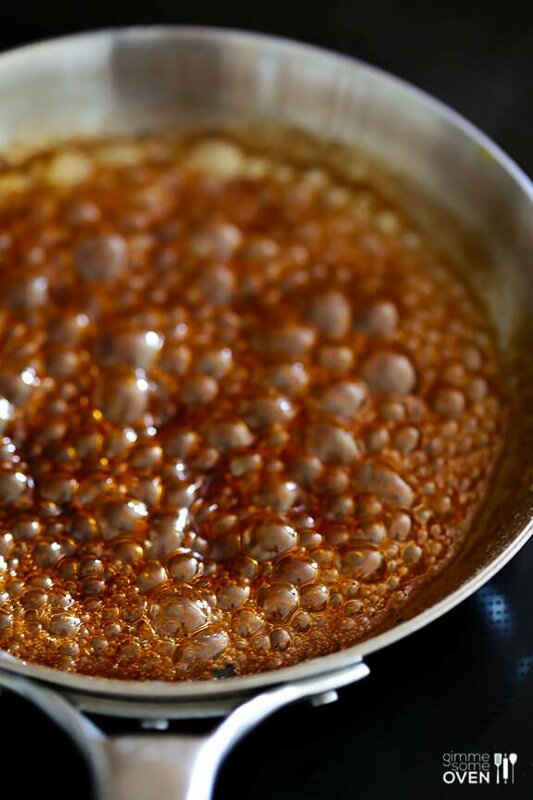 While the sauce is cooking, heat a grill pan or saute pan over medium-high heat until hot. Lightly grease the pan with cooking spray. 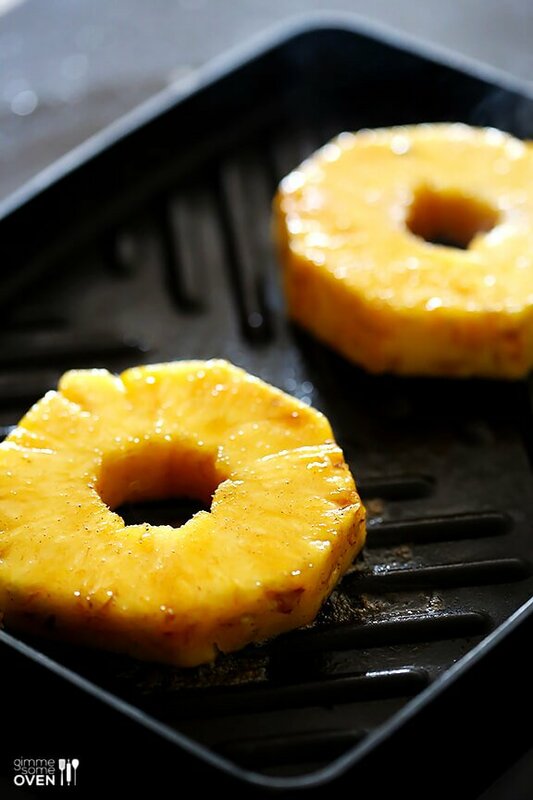 Add pineapple slices in an even layer (you may need to do this in multiple batches) and cook for 1-2 minutes per side until browned and grill marks appear. Transfer to a serving plates, and set aside. 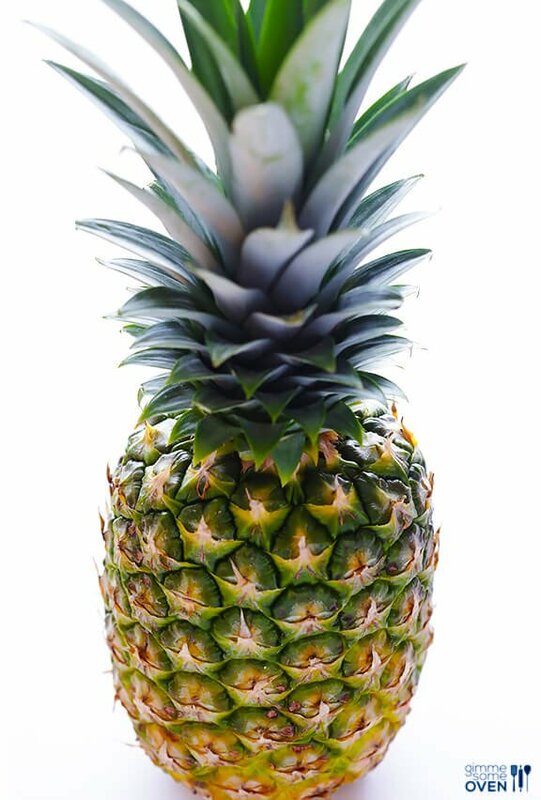 Repeat with remaining pineapple. 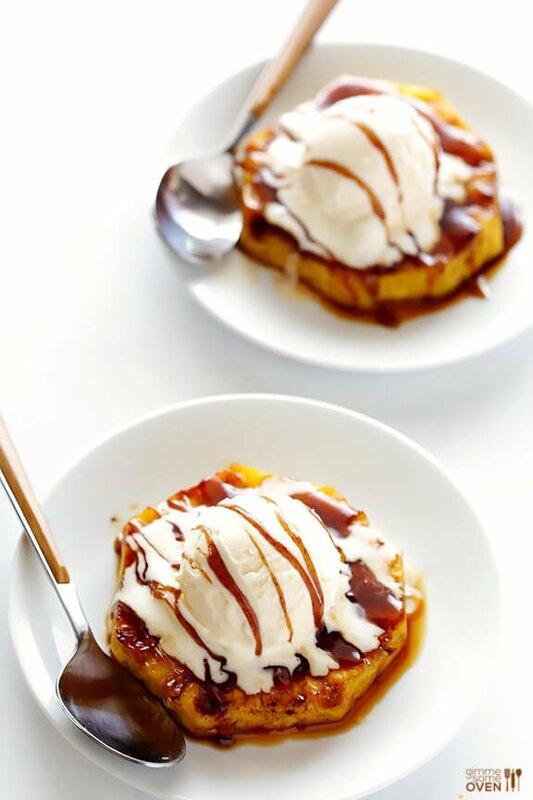 Top each pineapple ring with a scoop of ice cream and drizzle with rum sauce. 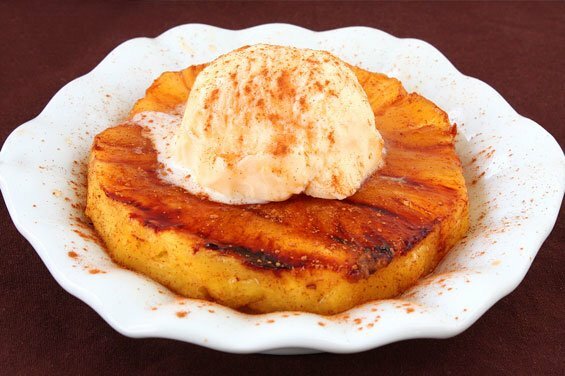 (If desired, you can also lightly dust the pineapple with some extra cinnamon.) Serve immediately.